If you like your music and our beautiful city, then you will love this free event held every Sunday throughout February at the Barrack Street Jetty in Perth. 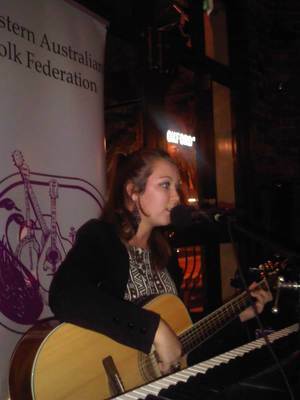 Presented by The WA Folk Federation in conjunction with the Metropolitan Development Authority, every Sunday sees a different talented group/musician backed up the John McNoir and Keith Anthonisz Duet. Both upcoming and experienced musicians will be bringing the sounds of folk and roots music to the public in a beautiful setting from 12.30pm until 2.30pm. Some Irish Band features Tim Scanlon from the Celtic Kings, who have toured globally with the likes of Dolly Parton. They play a variety of Irish folk music ranging from traditional to contemporary. Sunday Feb 10 sees a Northam girl Lauren Arthur, a singer and songwriter who is set to study at the Academy of WA Performing Arts this year. The Duet, performing February 10th, have a very unique style of folk music featuring their own original songs and also some well known songs (with their own interpretations) by Adele and Amy Winehouse! Greg Hastings is probably best known for being part of The Mucky Duck Bush Band and started early 70's often playing at The Stables Folk Club in Perth. 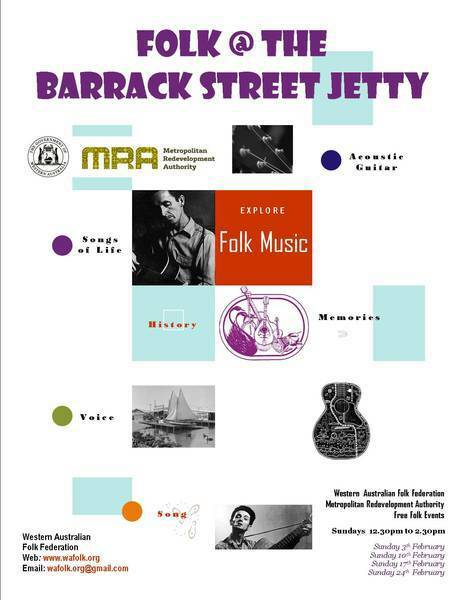 So if you like folk music with a twist head on down to the iconic Barrack Street Jetty this Sunday at 1230pm!